We received word of an interesting school project in Campana, Argentina. 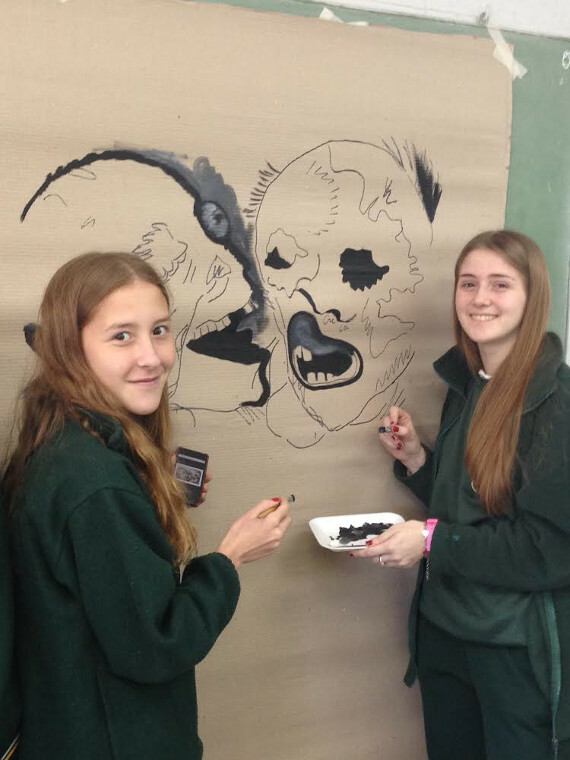 Students from the Anibal Di Francia School are reproducing works by Otto Dix as part of a tribute to the artist and a recognition of the 100th anniversary of the First World War. 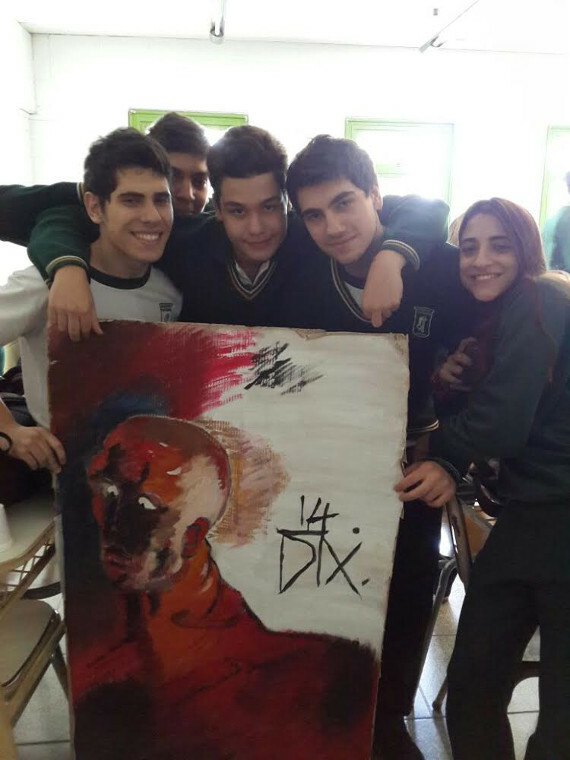 Their teacher, Ana Fraga, showed them several works by artists from the period and they chose Otto Dix for their tribute. We applaud this selection. The students are Facundo Bermudez, Tomas Rodriguez, Juan Pantano, Malena Soto and Victoria Antoniazzi. Once the project began they started to realize how difficult it was to reproduce a modern master. They stuck with it and they’re very pleased with the result. We are, too. This first piece is a reproduction of Self-portrait as a Soldier in which a young and somewhat naive Dix is baptized by industrial warfare. This second piece is by Camila Corbal and Maria Eugenia Baigorri. It’s a tribute to Dead Men before the Position near Tahure, in which two partially decomposed skulls seemingly chat with one another in the hereafter. It’s both a charming and disturbing piece and these students are capturing it well….